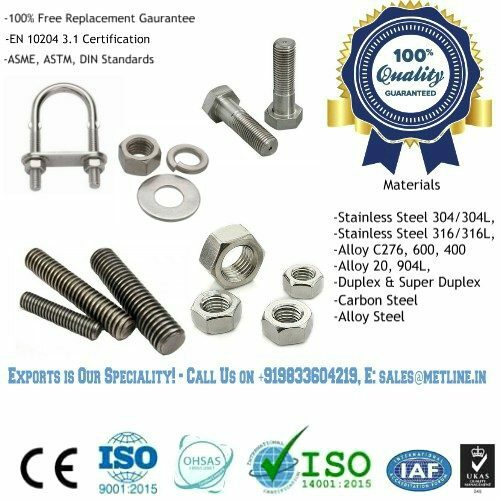 Metline is a full line manufacturer of Monel 400 nuts and Monel 400 bolts in accordance with DIN, ASME, ASTM and ISO standards. Monel 400 nuts and bolts exhibit good mechanical properties from sub-zero temperatures up to about 550 °C (1020 °F). They are approved for use in pressure vessels with wall temperatures from -10 to 425 °C (14 to 800 °F) . 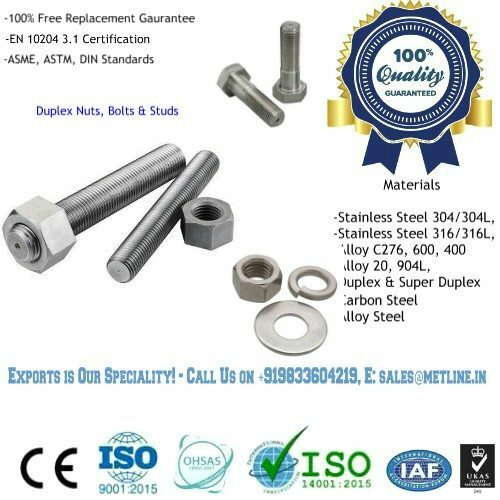 The most commonly used Monel Alloys for manufacturing nuts and bolts are Monel 400 and Monel K500. 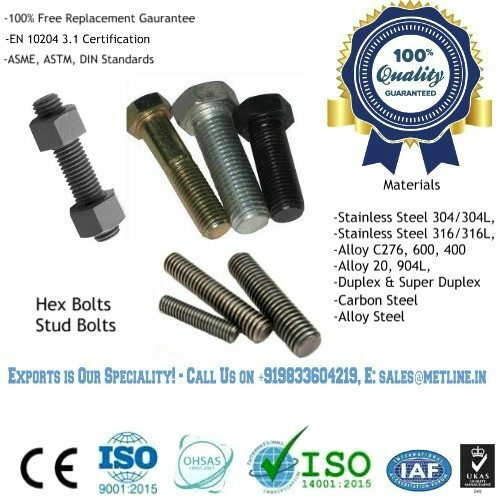 Metline offers a complete range of Monel 400 nuts and bolts such as screws, hex bolt, hex nut, flat plain washer, anchor bolts and U bolts. 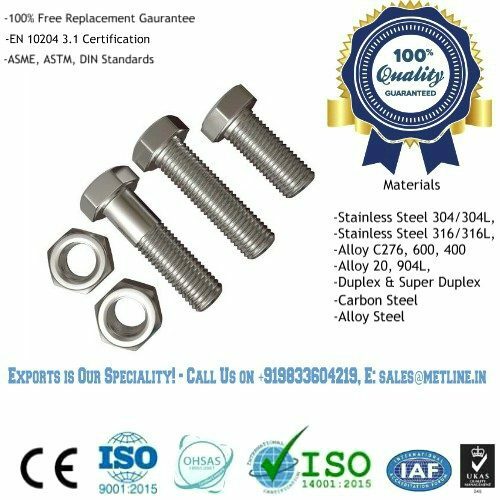 Metline is a specialist manufacturer of Monel 400 nuts and Monel 400 bolts in size range of M6 to M100, 1/4″ to 4″ in standard and custom lengths. UNS N04400 or DIN W.Nr. 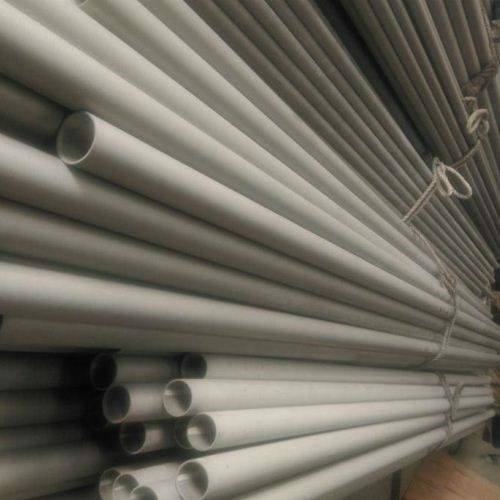 2.4360 / 2.4361, Monel 400 (also known as “Alloy 400”) is a solid-solution nickel-copper alloy with high strength and excellent resistance in a range of media, including seawater, hydrofluoric acid, sulfuric acid and alkalies. The Alloy 400 is also very resistant to stress-corrosion cracking and pitting corrosion in most fresh and industrial waters. Monel 400 is widely used in many fields such as marine engineering, chemical and hydrocarbon processing equipment, valves, pumps, shafts, flanges, fittings, fasteners, and heat exchangers. UNS N05500 or DIN W.Nr. 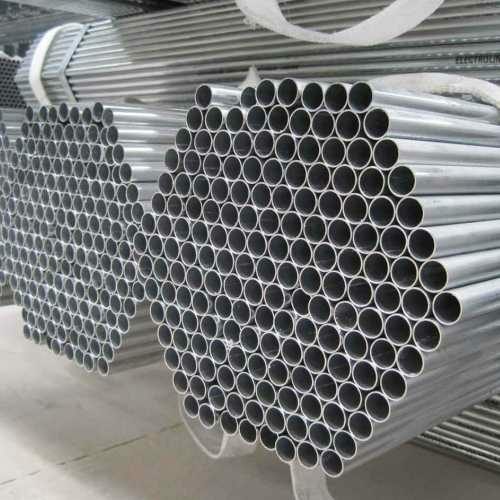 2.4375, Monel K-500 (also known as “Alloy K-500”) is a precipitation-hardenable nickel-copper alloy that combines the corrosion resistance of Monel 400 (Alloy 400) with greater strength and hardness. It also has low permeability and is nonmagnetic to under -100°C[-150°F]. The increased properties are obtained by adding aluminum and titanium to the nickel-copper base, and by heating under controlled conditions so that submicroscopic particles of Ni3 (Ti, Al) are precipitated throughout the matrix. Monel K-500 is used primarily for pump shafts, oil well tools and instruments, doctor blades and scrapers, springs, valve trims, fasteners, and marine propeller shafts.